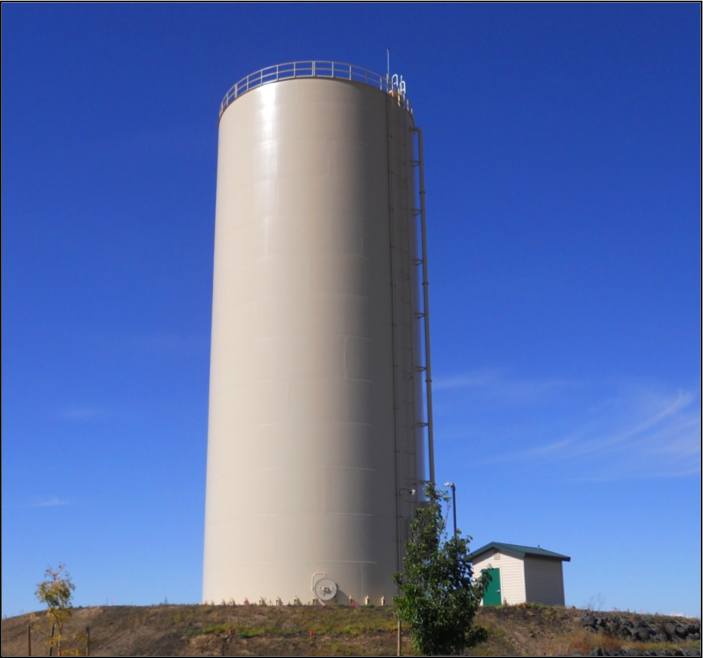 TD&H provided design and limited construction engineering services for a City of Pullman project to construct a new 1.2 million gallon steel water storage reservoir in the southwest quadrant of the City. Engineering services more specifically included preparation of construction drawings and specifications, opinion of probable construction cost, bidding assistance, periodic construction inspections, and review of contractor’s material submittals. Construction work included site grading and foundation preparation, rockery retaining wall, welded steel reservoir, site piping, power supply, electrical controls, security system, and telemetry. The approximate construction cost was $1,150,000. Construction contractor was T-Bailey of Anacortes, Washington.